How do you seamlessly and unobtrusively install air conditioning in a home built before the technology was even invented? It's a dilemma faced by old-house owners and preservationists alike. 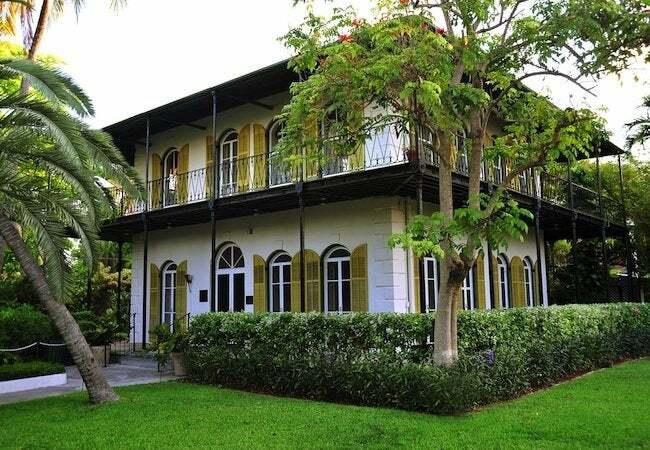 Keep reading to discover the solution employed by the curators at The Ernest Hemingway Home & Museum in Key West. Fans of Ernest Hemingway remember him not only for his classic books, but also for his larger-than-life persona and his legendary adventures around the globe. International cities like Havana, Pamplona, and Paris figure prominently in any biography of the author, but in the United States he remains perhaps most closely associated with Key West. 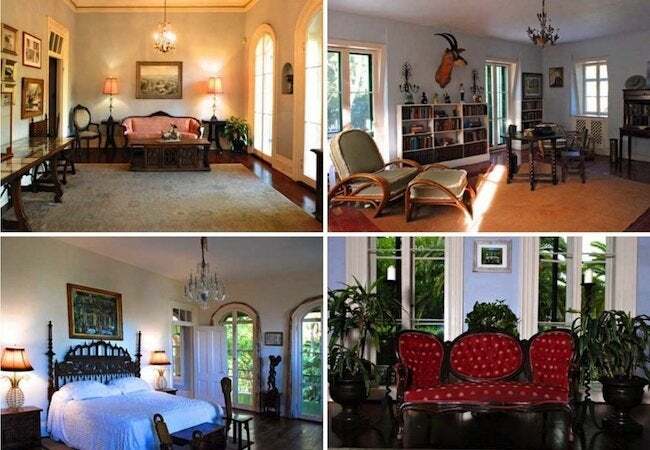 Here, he lived off and on in an 1851 Spanish Colonial-style house that, following renovations made by Hemingway and his wife, would be ahead of its time in many ways. For example, it was among the first homes in Key West with indoor plumbing and the very first to boast an in-ground pool. 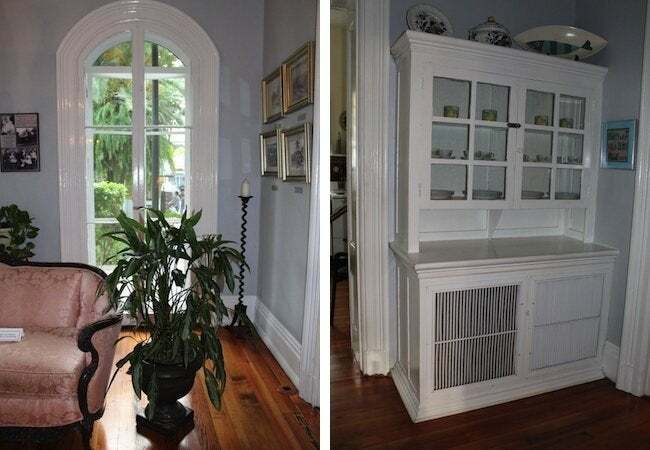 Air conditioning, however, which would eventually become a vital component of any South Florida home, was—in 1931, when Hemingway first moved in—still decades away from going mainstream. Certainly, the local weather didn’t keep Hemingway from writing. It was in Key West where he completed some of his most enduring works. 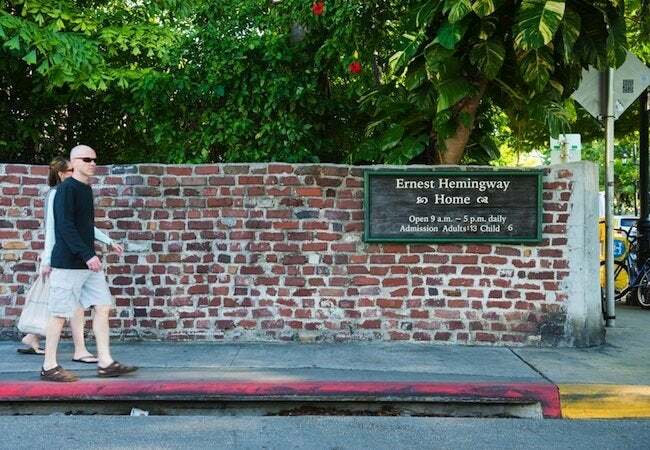 That’s part of the reason why every year, thousands of tourists flock to the home, which is now a National Historic Landmark open to the public as the The Ernest Hemingway Home & Museum. 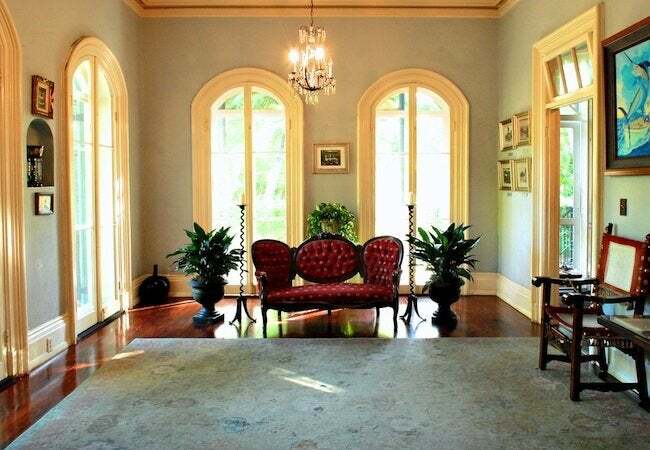 Though the house and its grounds offer a great deal of insight into Hemingway and his home life, longtime curator Dave Gonzales reports that until recently, the lack of air conditioning detracted from the experience. It was so uncomfortable on tours during the busy and extremely hot summer months, at least one visitor would faint each week. Something clearly needed to be done, not only for the comfort of museum visitors, but also for the preservation of the Hemingway furniture and memorabilia contained inside. Of course, today, unlike in the 1930s, there’s nothing extraordinary about air conditioning, but museum officials worried that a modern AC solution would compromise the historic integrity of the building. Window air conditioners were ruled out for their anticipated negative aesthetic effect on the exterior. Traditional central air wouldn’t cut it either, because in order to accommodate the necessary ductwork, installers would need to build soffits, drop ceilings, and open up walls, effectively remodeling the building. Gonzales and his fellow stewards did not want to see the home changed in any outward, visible way. It wasn’t only a matter of the curators’ preference, though. It was also a practical matter, as the Hemingway Home team knew that, in order to gain approval from the Key West Historic Architectural Review Commission and the National Park Service (which oversees National Historic Landmark properties), any proposed plans would need to satisfy the stringent requirements set forth by each agency. Finally, in 2015, they struck upon the only truly workable solution—the innovative Unico System. The aha moment came when the Hemingway museum learned that at a similar property nearby—the Harry S. Truman Little White House—conservators had managed to implement central air conditioning unobtrusively, without harming the features that made the winter residence of the former president so special. Unico stands apart from other HVAC options as one of the few systems designed to integrate into the home seamlessly and more or less invisibly. Unico’s flexible, small-diameter ducts can snake behind or through walls, crawl spaces, and ceiling cavities, eliminating the need for invasive changes. Indeed, the Unico System has been carefully engineered to require as few building alterations and attract as little attention as possible. One example: The air handler is so compact that in the Hemingway Home it could be slotted into the master bedroom closet, completely out of sight—a clever outcome not only by its size but also its unique, vertical orientation. Likewise, the intake air box fit into a bathroom closet, and the return air box was hidden in existing cabinetry (here, louvers were added to allow for airflow, as shown in the above-right photo, to the right). What about vents? In stark contrast to the prominent grilled vents seen in homes with conventional forced air, Unico instead provides circular or slotted wooden outlets, which can be finished to match the surrounding decor. 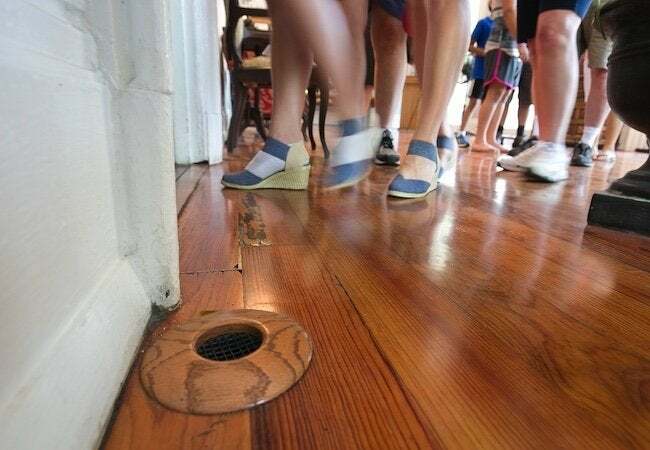 At the Hemingway Home, for example, the outlets are hardly noticeable, because their stain color perfectly matches the red oak flooring. Guided tours at the Hemingway Home start every 20 minutes, with as many as 25 visitors per tour. Noise generated by the air conditioning system was a foremost concern. According to Gonzales, though, noise isn’t an issue. “We can hardly hear it,” he reports. Unico owes its whisper-quiet operation in large measure to insulation. Not only do the insulated ducts absorb sound, but they also create efficiency. In conventional forced air, ductwork can be leaky enough to compromise system efficiency by 25 percent or more. By encasing its ducts in dual-layer insulation, Unico promotes savings by virtually eliminating air leaks and wasted energy. Gonzales said their utility bill hasn’t gone up nearly as much as they thought it would. Another energy-saver is the built-in humidity control of the Unico System. It removes 30 percent more moisture from the air than a conventional HVAC system, allowing homeowners to set the thermostat a few degrees higher and still feel quite comfortable. 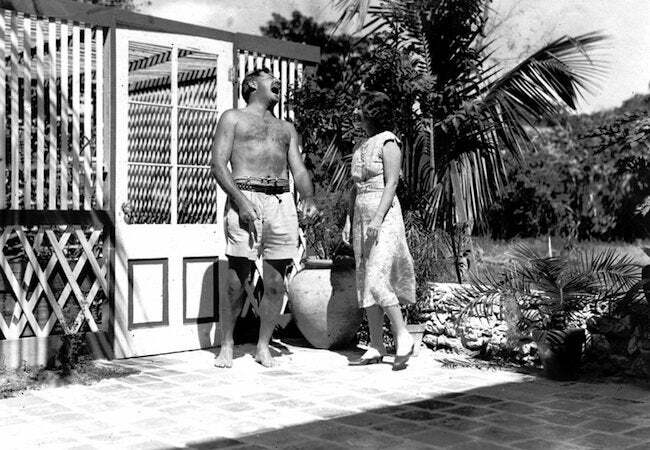 In the high-humidity climate of Key West, the Hemingway Home is kept cool at a lower cost. Humidity control also helps preserve the home and its contents for the enjoyment of visitors in the future. The Unico System helps maintain a low-moisture environment that prevents the growth of mold and mildew. As the story of the Hemingway Home attests, no matter the age of your house, you can catapult its indoor environment into the present day with high-performance, all-but-invisible small-duct HVAC. But even if you don’t live in an old home and are planning to build a brand-new residence, there are compelling reasons to consider a climate-control solution that does not dictate design, but instead adapts to the design you envision, no matter how bold or creative. Perhaps like no other system, Unico makes it possible to live in a home where HVAC adds energy-efficient comfort but subtracts neither square footage nor design integrity.